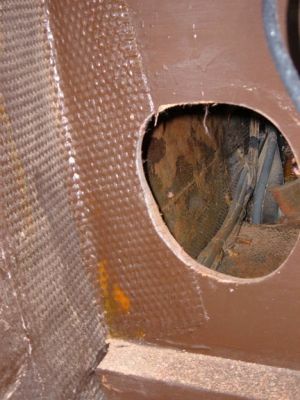 As you can see, the intake is in the center, flanked by the exhaust. This configuration is loud and blows air down your back when seated at the bar - and in your face when seated on the couch. This configuration will be completely eliminated. A new quiet and comfortable configuration will be designed by DOMETIC allowing the cool air to float into the room without the concentrated blowing force or sound. 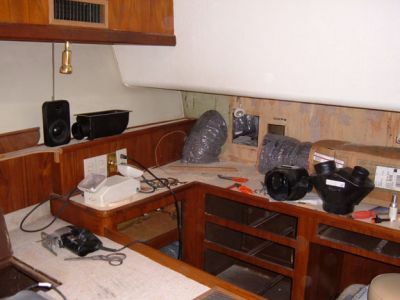 The unit on the right is a 30,000 BTU modulating unit that will run the three staterooms. The left unit is a 24,000 BTU that will cool the salon. These are the compressors and will be located in the engine room. While this unit did not provide air for the bridge, its removal will make room for putting a unit that will. 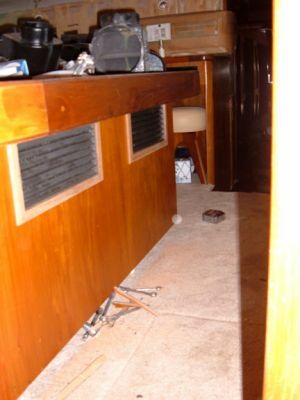 This Lunair unit is under the console and can be seen in the center of the salon. 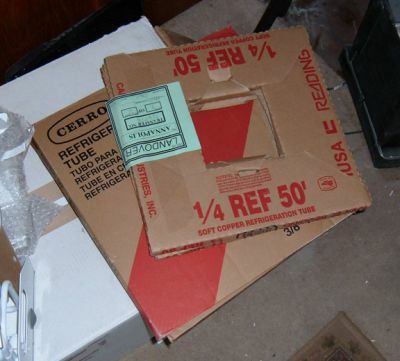 It is very large and will need to be cut into pieces for removal. 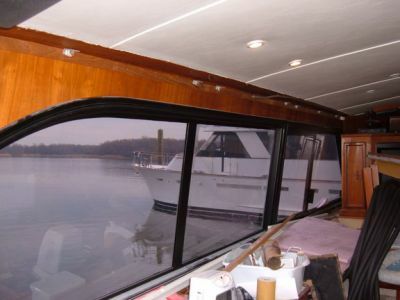 With the removal of the old valance and blinds, we can begin the troft design from which the conditioned air will flow. 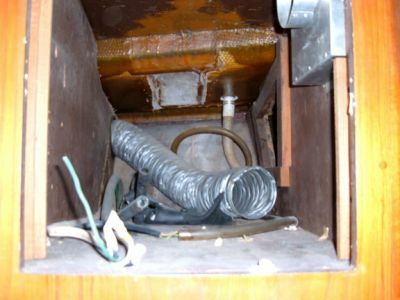 This troft is located on the port side and air will flow from the air handler to be located in the TV cabinet, through 6" duct and into the front of the troft. 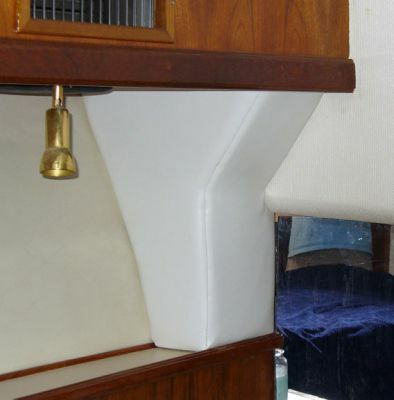 The troft will allow air to flow the full length of the salon through an opening approximately 1 1/2" from the head liner. Small hole large peg! 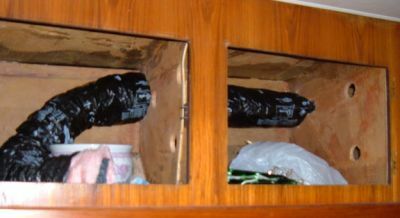 The starboard air handler needs to be positioned in this cabinet above the fridge. 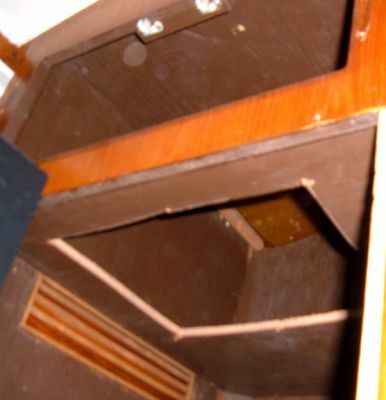 Although the cabinet opening is not large enough to fit the unit, the inside of the cabinet is large enough. 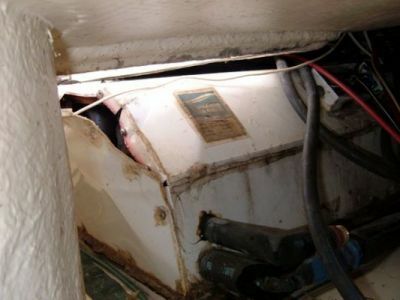 The answer is to cut a hole on the underside of this area, large enough for the unit to be put up through it and into place. 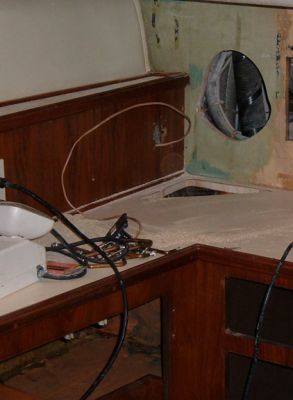 The hole will then be closed. 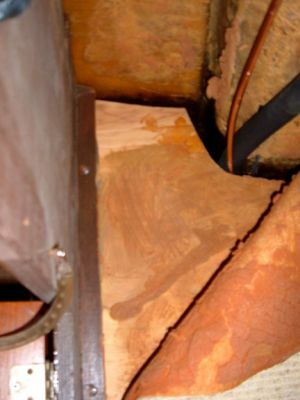 We have a slight concern that this plywood area will reverberate and cause noise. 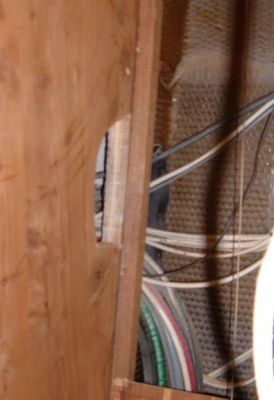 With the TV removed, you can see the wire mess that was hidden behind it. 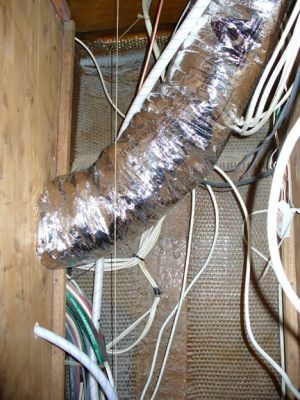 The previous owners added new items and left old wires instead of taking the time to remove them. 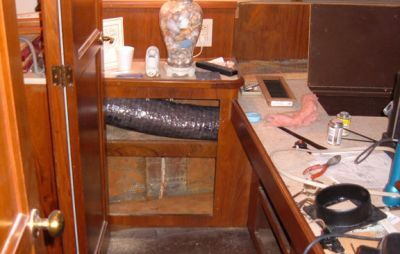 We will sort, remove and organize this cabinet so the portside air handler will fit. 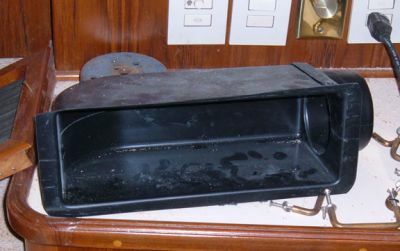 This is the portside trough. 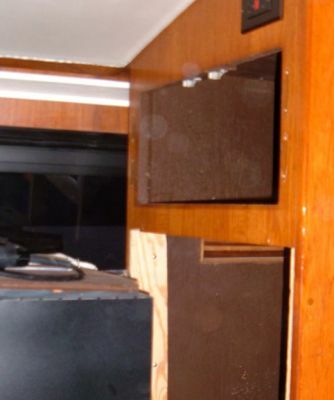 You can see the slots cut in the top. We determined the amount of opening needed and then divided it into 1/2" X 6" slotted cutouts. The cutouts are distributed with the majority located at the entry point of the duct and progressivley fewer toward the end. This was done because the majority of the air's force is at the end. 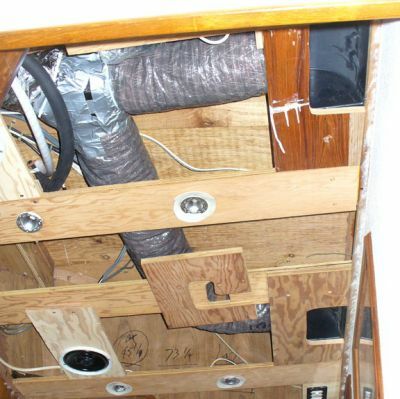 This is the starboard side that is fed by the air handler over the fridge. 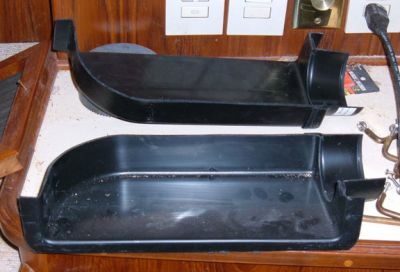 The starboard side, forward of the fridge gets this smaller 4" trough. 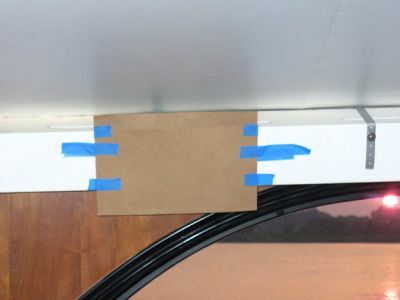 We taped various sizes of paper to the trough to determine a size that would cover the slots and the majority of the window frame. This determination was based on the average person's hieght so if you are 6'6" you may see the slots. We tried to keep the size to a minimum so it would not be too massive. 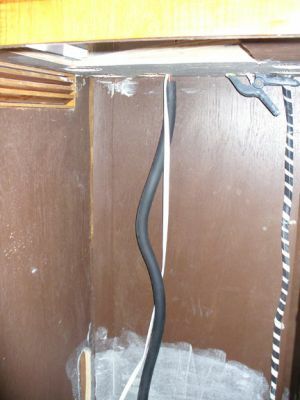 Copper tube and electric wire are run behind the fridge and up to the air handler for the starboard side of the Salon. 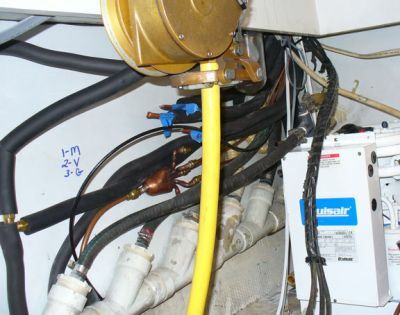 This 12,000 BTU air handler is mounted over the fridge and will push cool air fore and aft through troughs hidden by the valance on the starboard side of the Salon. It was a pain getting it here, but it should pay off big. 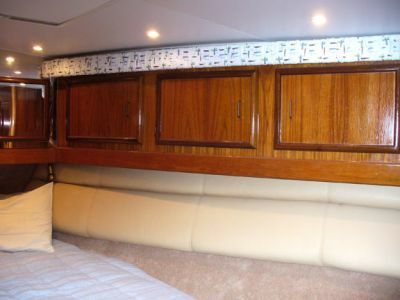 This, in conjunction with the same unit on the port side, will make the Salon very comfortable. 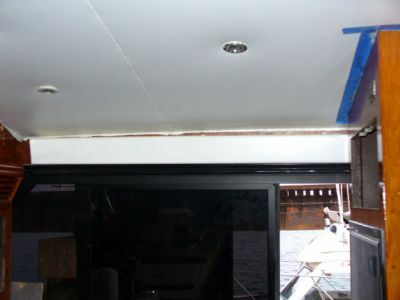 Part of the soundproofing involves installing this Cruiseair unit that will feed the port side valance and another unit that will feed the starboard side. 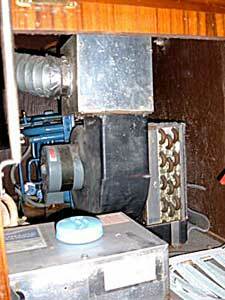 Each unit is 12,000 BTU and are fed by the compressor located in the engine room. 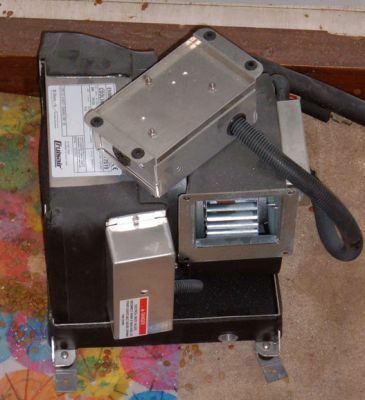 The previous configuration and Luneair unit were not quiet. 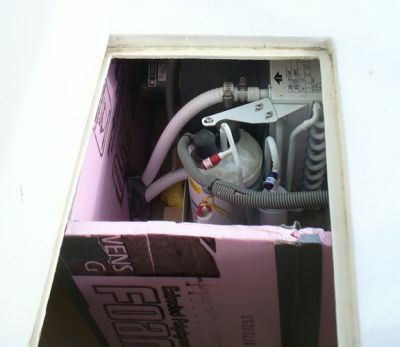 Dometic and Cruiseair are a welcome replacement! 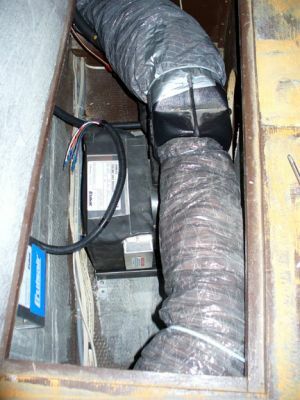 The portside air handler feeds the trough through 6" insulated duct work. 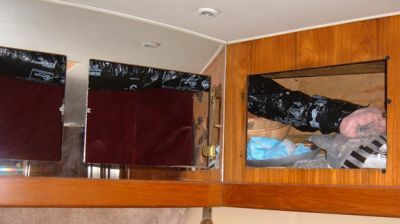 Now that the valance has been completed we will work on the covered panels below the cabinets. They will be covered in the blue Ultra-leather used in the salon upholstery. This will tie the colors together and pull blues out of the up-coming "Mark Ray" comforter. 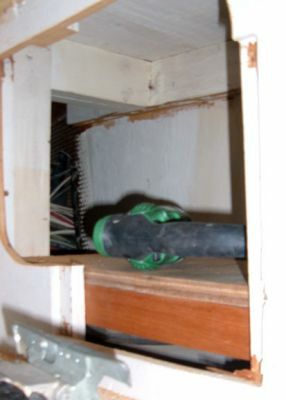 This hose is being pulled through the Master Stateroom head and into the VIP Stateroom and will replenish the room with fresh air. Stale air is not appealing to us. 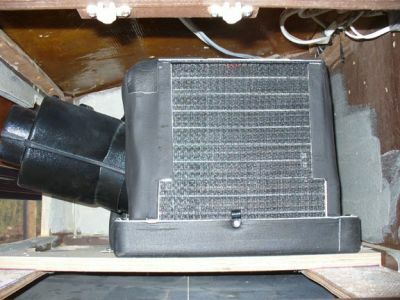 Air supplied by the Munter vents on the bridge will be pulled into a collector box with a fan and then pushed into the Master and VIP area via this hose. A fan to evacuate air will also be installed in both rooms. The Airpax E-Plex system will have timers set up to run these fans to replenish about 10% of the air in these rooms at appropriate intervals. This was a horrible source of noise. 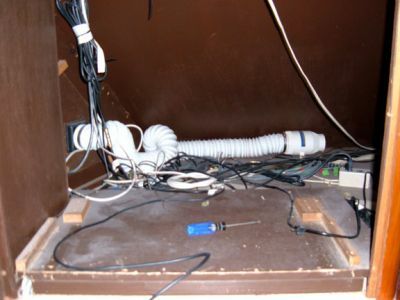 When all air is concentrated through a small opening the result is a venturi sound. This can and will be eliminated by not having the air so constricted. The air will be allowed to drop into the room rather than be forced. Keep in mind that the same amount of air will flow, it will just not be restricted. Here is yet another and even more offensive source of noise! 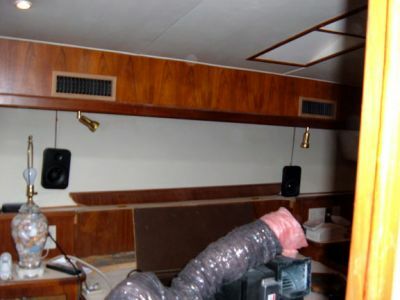 This compressor is located in the master stateroom. The new configuration will have only the air handler in the room. 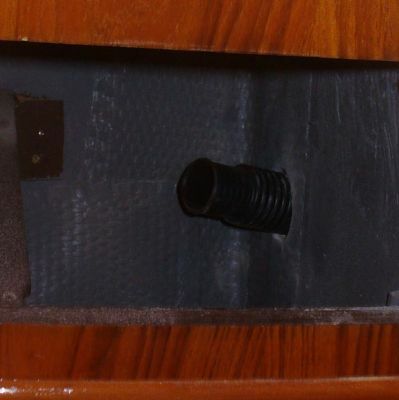 Even so, care will be taken to make sure that it is isolated with rubber mounts and housed in such a way to reduce noise as much as possible. This is one of two Cruiseair self-contained units that will be on the bridge. 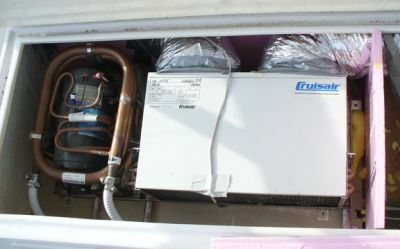 This unit is 7,000 BTU. 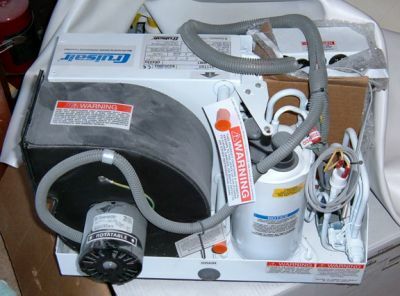 This is a 16,000 BTU self-contained Cruisair unit and will be mounted under the console seat. 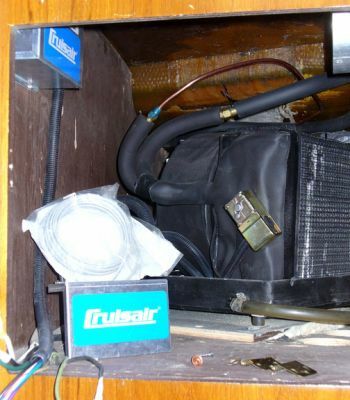 This sixteen thousand BTU low-profile Cruisair unit is placed beneath the console seat. 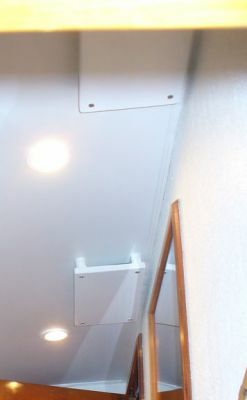 Foam panels were used to isolate the unit from outside air. 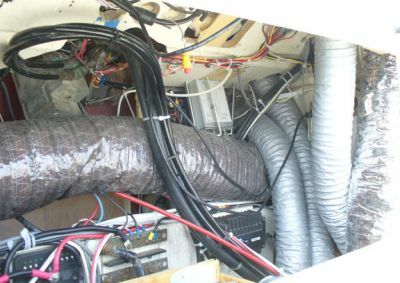 Enclosing the unit in our application was important because of the vented air we have running under the console and floor to break the station wagon effect. Not enclosing would mean trying to continually condition outside air. 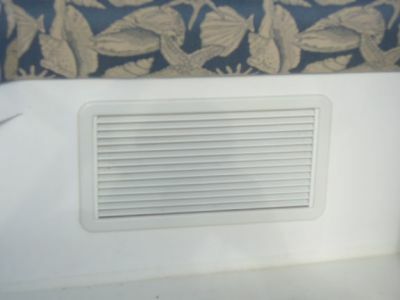 These vents allow air from a low point in the room to be returned to the unit. 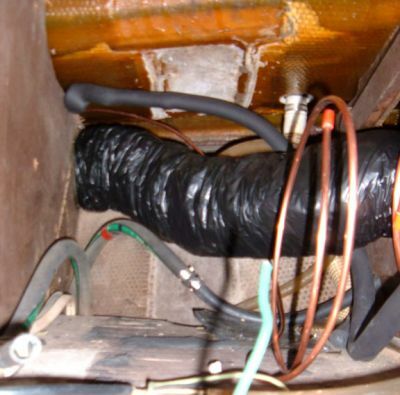 Conditioned air is then fed to ten, three-inch vents through pleniums and hoses. More of the maze. Air conditioning a bridge is different than a Stateroom! 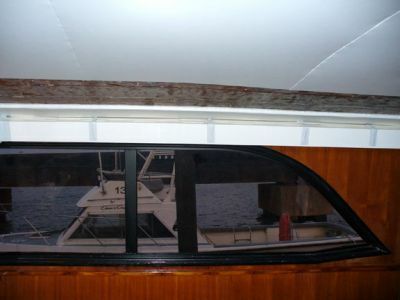 In a Stateroom you cool the entire room; on a bridge you need to direct cool air flow directly onto persons. 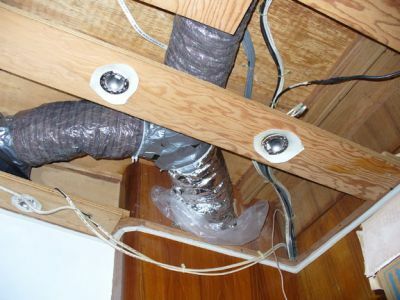 Thus the need for many vents. 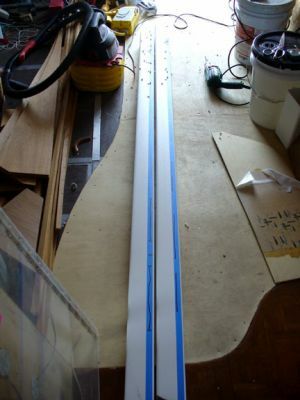 This project is too easy to not undertake. The payoff is fantastic when done correctly. 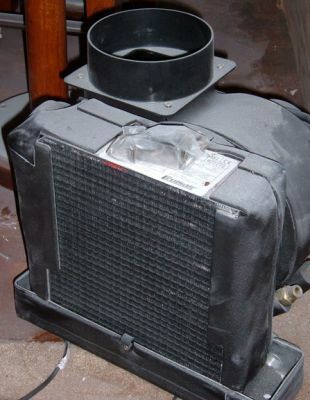 The 16,000 BTU unit feeds ten, 3" vents. 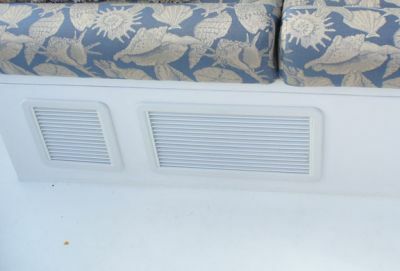 These vents have the ability to be directed and or closed. Six are on the console proper. Four vents are located on top the map area. The four are directed at the passenger helm chair. 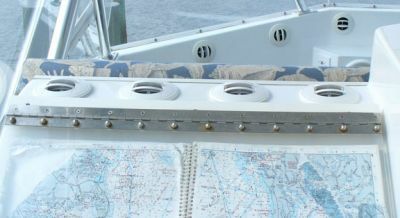 Additionally, two vents on the console can also be directed at the passengers.
. . . under the port side seat. 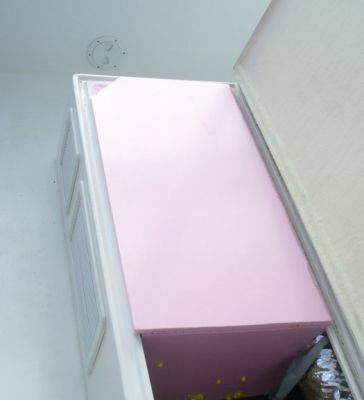 It too is encapsulated with insulating foam. 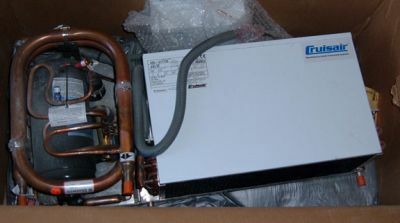 This 7,000 BTU unit feeds . . . 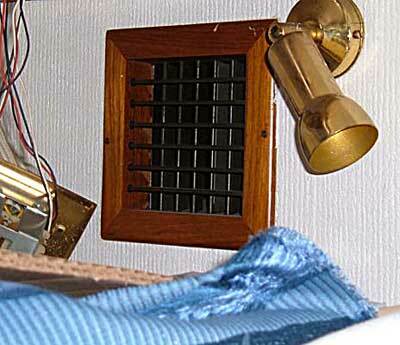 This is the return vent for the 7,000 BTU unit (with my erie shadow on it!) that is tucked under the port . 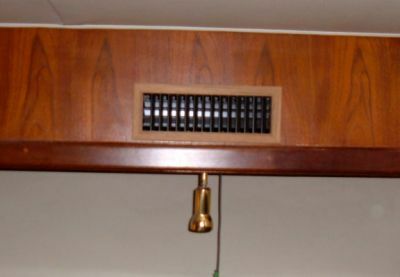 . .
.... these six vents to cool guests seated in the console lounge. We had ten people on the bridge in near 100 degree muggy temperatures and did not break a sweat. 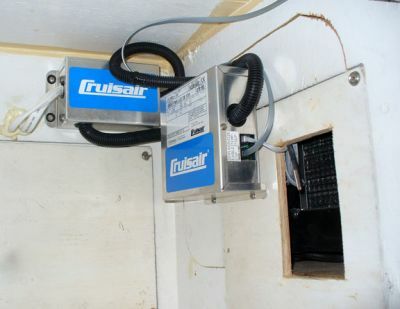 It is EZ2CY we are happy with Cruisair and our Enclosure! The Eskimo Ice shaver came with the boat and is a wonderful piece of equipment. 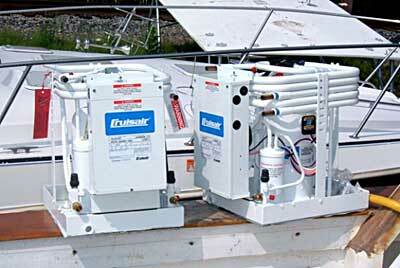 Eskimo has since been purchased by Dometic Corp, the makers of Cruisair. 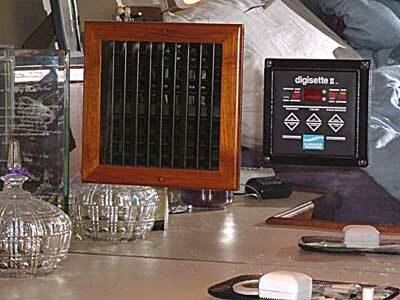 We have performed an upgrade that allows better monitoring of the unit and includes a repeating control at the helm. 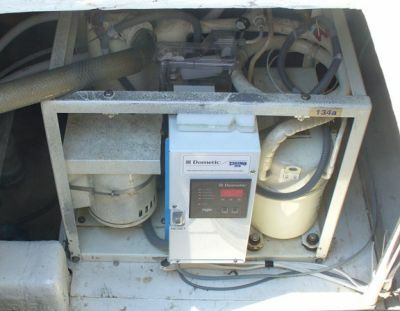 Full operation of the unit can be monitored from this Bridge Control Unit. 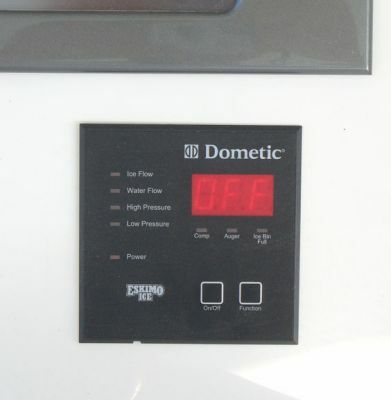 There is also an electric eye in the fishbox that turns off the machine when it indicates it's full. We love it! 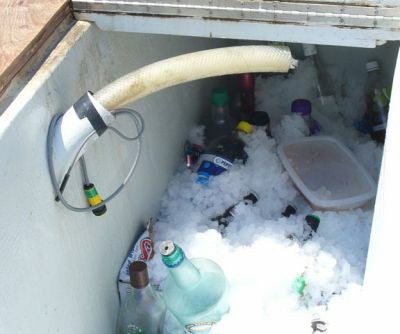 Shaved ice is fed through the tube and into our fishbox. This machine can make 600 lbs. of shaved ice per day. It is great for margaritas or snow cones. 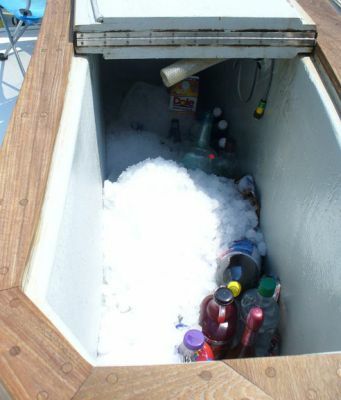 Not to mention that when we catch fish this is the surest and quickest way to cool them down and keep them fresh.